The first year in teaching is a special period, and beginning teachers face many challenges in induction period. Current demographic changes all around the world bring about an increasingly diverse student population with different cultural, ethnic, and linguistic backgrounds. The purpose of this chapter is to explicate teacher induction in culturally, ethically, or linguistically diverse settings. Accordingly, teacher induction is clarified within the framework of culturally responsive teaching. As the concern of education is to be responsive to students' diverse cultural or linguistic backgrounds in culturally responsive teaching, it is considered to be appropriate pedagogy for beginning teachers in diverse settings. Furthermore, beginning teachers' relationships in the learning community and larger society have great importance in induction period. Therefore, this chapter aims to clarify the scope of beginning teachers' relations with students, parents, and larger society in culturally diverse settings. The teaching profession requires a great deal of responsibility and high expectations of the community. Considering the responsibilities to be fulfilled, the expectations to be met, current concerns and difficulties altogether, it can be said that there are many questions to be answered in the mind of a beginning teacher. These teachers, who do not have enough experience in the profession, face many challenges in their first year of teaching (Kozikoğlu, 2016). The first year in teaching known as an entrance to the teaching profession is seen as “time to achieve or fail”. For beginning teachers, the first year in teaching may be challenging (Eaton & Sisson, 2008). Approximately three quarters of beginning teachers in the United States of America either transfer to a different school or leave the profession in the first year (Smith & Ingersoll, 2004); about half of them leave the profession in the first five years (Eaton & Sisson, 2008). The number of beginning teachers who leave the profession in the first three years is very high all over the world. So, the first years of teaching are known as the most challenging years in the professional career of beginning teachers (Dickson, Riddlebarger, Stringer, Tennant & Kennetz, 2014). 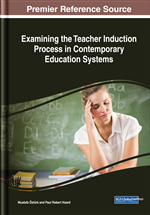 It can be concluded that the experiences of beginning teachers in the first year of teaching not only influence their maintenance in the profession and but also their professional development. The first year of teaching has importance for professional development of beginning teachers (Rust, 1994; Gergin, 2010). It is an intensive period of learning to teach and it affects not only beginning teachers' staying in the profession or the professional development, but also what type of teacher they will be (Feiman-Nemser, 2001). The conditions and experiences in the first year of teaching have a significant influence on beginning teachers’ effectiveness in their teaching career, attitudes and behaviors in the long run (Bush, 1983). A successful beginning has a critical importance for both career of the teacher and education of the students. When a beginning teacher fails in the profession, everyone loses. Beginning teachers’ leaving the profession affects school programs, students, administrators, politicians negatively. Therefore, the success of beginning teachers in the profession should be paid attention by all stakeholders in the education (Barbara & Grady, 2007, p.2). The first year in teaching which has the potential to influence beginning teachers' career decisions and practices is an important period in the professional development of teachers. Beginning teachers, who generally begin in rural areas but do not have enough experience in the profession, face significant difficulties in the first year of teaching (Kozikoğlu, 2016). There are many concerns in their mind such as “What should I do? How should I spend my first year? How do I apply what I have learned so far? Can I manage students? Will I be able to communicate with students and families? Will I be able to establish good relationships with colleagues and parents? What if I make a mistake?” etc. (Wyatt & White, 2007). Apart from these challenges, beginning teachers have extra difficulties in culturally, ethnically and linguistically diverse settings adding the dimension of cultural disequilibrium (Bergeron, 2008).